The concept of an Acadian historic village for southwestern Nova Scotia is an ambitious idea that was formulated by the Société historique acadienne de Pubnico-Ouest in 1989. Since that time, and with the help of countless volunteers, this incredible project has rapidly moved forward. In April 1997, both the federal and the provincial governments announced funding over a two-year period for an Acadian village project in West Pubnico, Nova Scotia. 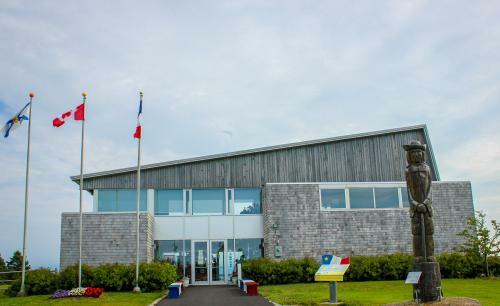 This undertaking was to include, among other things, construction and relocation of 19th century Acadian buildings, as well as the project management. Benefactors contributed old buildings, artefacts and financial aid. During the summer of 1998, site preparation and construction began, followed thereafter by the relocation and restoration of five buildings. Construction of the visitor reception center began in the fall of 1998 with a completion date set in May 1999.